TimeZone : Public Forum » My top 5 grails. You have good taste. I like them all - well chosen grails. Beautiful watches, you've got great eyes and class. I'm curious, can you say more about what appeals to you about this particular Lange 1 variation? Is it the honey gold color or properties? The dial color/texture? The rarity? The "Hodinkee effect" (if that's where you first read about it)? Or something else? I'm asking because I was offered one when they first came out but passed on it immediately, without any internal angst or deliberation, when I saw it in the metal. I just didn't find anything especially compelling about it relative to other Lange 1 models. The eggshell dial was a pleasing texture/color -- the nicest feature of the watch, I thought -- but other than that, it struck me as a pretty standard-looking Lange 1 in the same honey gold case that Lange has used to make about 735 watches so far (if my count is correct -- my point being that HG isn't as rare or special as it was when Lange first started using it back in 2010). For me, when I compared the 101.050 to the old Lange 1A from 1998 (ref. no. 112.021), the HG piece came up short. That's just me, though, and I'm always curious to hear from others with different perspectives about what appeals or doesn't appeal to them, and why. Well there are a few varieties of the Lange 1. But to me this one stands out above the rest. The combination of the honey gold alloy and eggshell dial make it subtle enough to pass on as any Lange 1. But, also different enough to stand out among the rest. It is highly collectible, classic design, wearable, not to loud, rare the list goes on. I would honestly be happy with any Lange 1. But, for the purposes of this list I chose this one. Not saying that it is above the rest. But, just that to me it stands out. I appreciate the explanation, and it's definitely a lovely watch! Although I like the concept of honey gold, I have a slight bias against its implementation because the early honey gold pieces tended to darken/patinate a bit more than I expected, becoming really close to yellow gold in appearance after several years. Supposedly Lange tweaked the alloy a bit for the more recent HG editions -- not sure if that's true, but of course time will tell. If you'd like to see pics, check out my old post here and here. Won't need anything after that one. This. I hope your grail is realized. Very interesting I'll have to reconsider the HG. YG might just be the way to go. Or steel. Nice workweek rotation! :D Philippe Dufour has said that he considers Lange to be the real deal among manufactures in terms of precision and finish. Still working on the Lange 1 ... but been a lot of fun working on the other two. 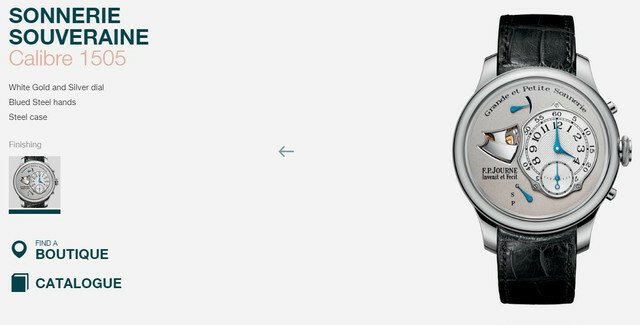 I was really dreamin Id love a Credor Eichi II and really anything from Journe.